Millions now make social media a regular part of their day (and night). Facebook, Twitter, Google+, YouTube.com, LinkedIn.com, and more—people seem to enjoy telling jokes, sharing cat videos. And sometimes, they share intimate details of their lives. 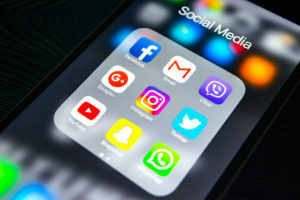 It is commonly known nowadays that private investigators regularly comb social media sites for information about individuals being investigated. But does this common knowledge keep people from posting results of their date night, their political sympathies, even pictures of their minor children? NO. This search also includes derogatory information that may appear on websites like Yelp.com and BBB. For whatever reason, social media can be a cornucopia of information for investigators. We have seen cases where infidelity has been admitted; where criminal threats have been issued; and where what sounds like conspiracy gets discussed. Among the cat videos and jokes. Americans’ tendency to exhibitionism allows the experienced investigator to put together a puzzle that might affect a child custody case, a collections case, or a business dispute. It is astonishing what people will sometimes drop onto their Facebook or Twitter account. Thus, the need for a social media search is self-evident. We do them, always for a reasonable price, and always with a written report of our findings. All we need is the person’s full name, city or country of residence, and any identifiers which would distinguish a person with a common name like John Smith from the million other John Smiths out there. Try our social media search today. You could be amazed. Our searches always include a written report of our findings.